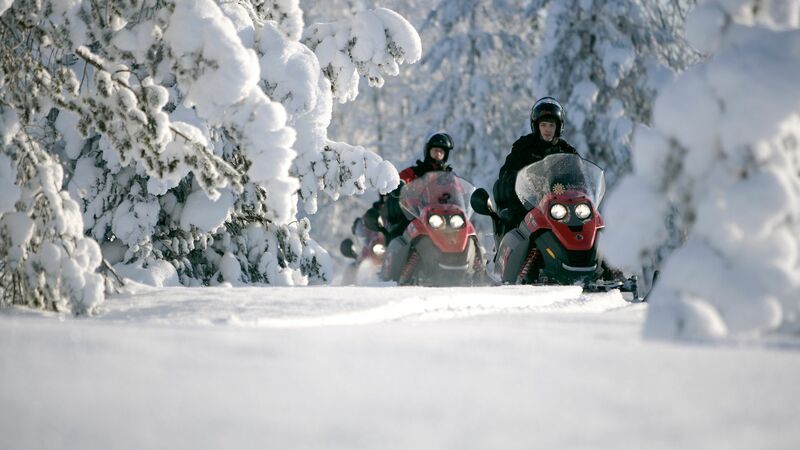 This winter break in Swedish Lapland offers a big adventure in a short amount of time. In just 3 days you’ll experience what it’s like to sleep in a room made of snow and ice, try your hand at driving a dog sled with an expert musher and zoom across the wilderness on a snowmobile. 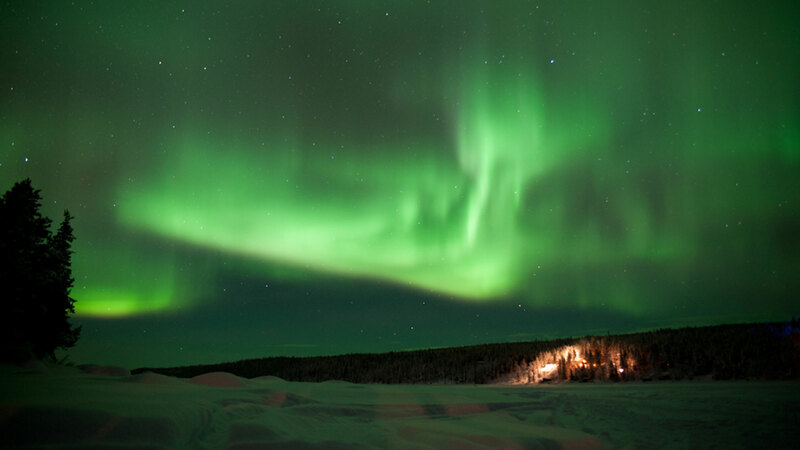 In addition to the thrill of spending a night at the ICEHOTEL, this tour gives you the opportunity to see the northern lights. A day-by-day plan to guide your northern adventure. Arrive at Kiruna Airport where you will be met by a driver and transferred to your hotel in Kiruna. After resting up a bit, spend some free time exploring the town. Then in the evening, bundle up for a guided snowmobile excursion out into the wild for a chance to see the northern lights glowing in the sky. Enjoy a rustic dinner of traditional local food in a wooden hut around a fireplace before your guide takes you back to Kiruna. Spend the night in Kiruna. • Two people will share one snowmobile and take turns driving. To drive, you must have a valid driver’s license. • Please note the northern lights are a natural phenomenon and sightings cannot be guaranteed. Experience the thrill of dog sledding today with an experienced guide. At the kennel you will learn to drive your own sled and team of huskies and then you’ll follow your guide’s lead on the beautiful snowy trails, through the woods and over the plains. After a good ride, enjoy some coffee and a light lunch in front of a campfire. Then it‘s time for the grand highlight of your holiday: the ICEHOTEL and ICEHOTEL 365. On arrival to the complex you will be taken on a guided tour to learn about this hotel‘s unique concept and construction. 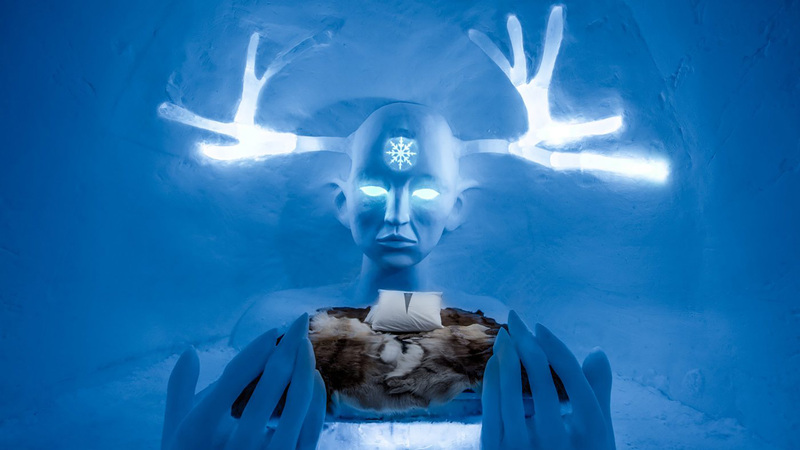 You‘ll also get handy tips from the ICEHOTEL staff on how to sleep comfortably in your ice room. Regardless of whether you spend the night in the original ICEHOTEL or the new year-round, solar-powered ICEHOTEL 365 structure, the temperature inside is kept at around - 5°C (21°F). But not to worry! You be provided with a thermal sleeping bag to keep you warm as you sleep on soft reindeer skins atop a bed made of ice. 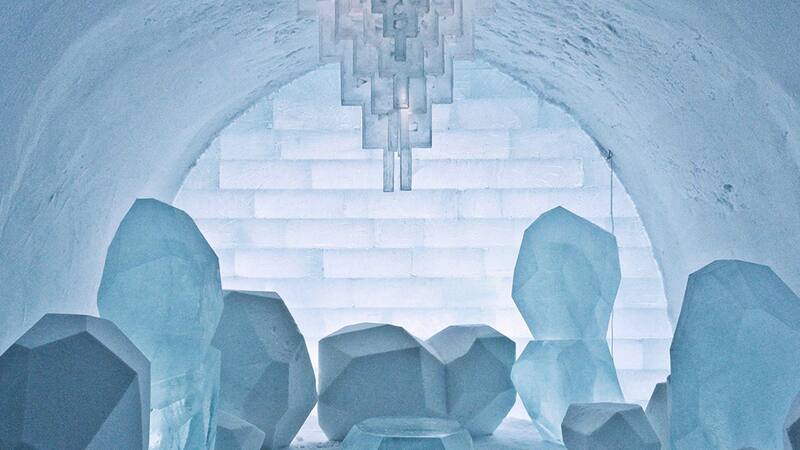 Spend the night at the ICEHOTEL or ICEHOTEL 365. • Two people share one sled and take turns driving. • The ICEHOTEL opens in mid-December. 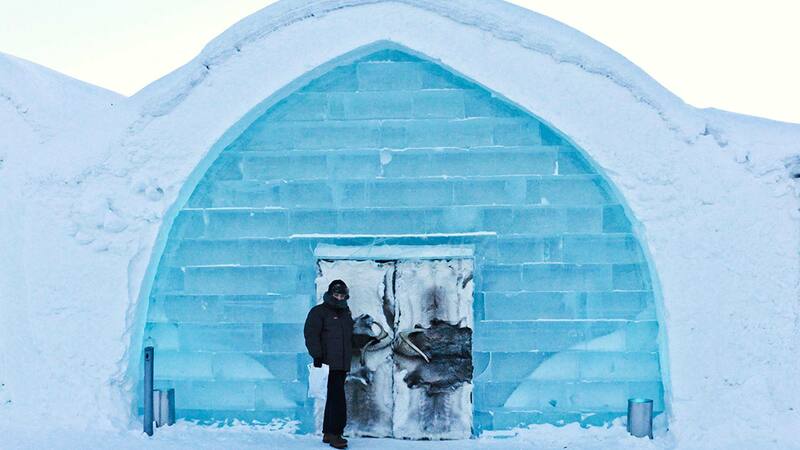 Until then, accommodation and guided tours will be at the ICEHOTEL 365, which is open throughout the year. Wake up to find a cup of hot lingonberry juice served at your bedside in the ICEHOTEL. Once properly awake you can enjoy a hearty breakfast in the restaurant and warm up in the sauna to prepare for today’s trip back home. Later on you will be transferred back to Kiruna Airport for your departure flight. Photographic evidence of just how stunning Lapland is. Rooms with private shower or bath and WC. These are in three-star hotels and are all centrally located within towns. 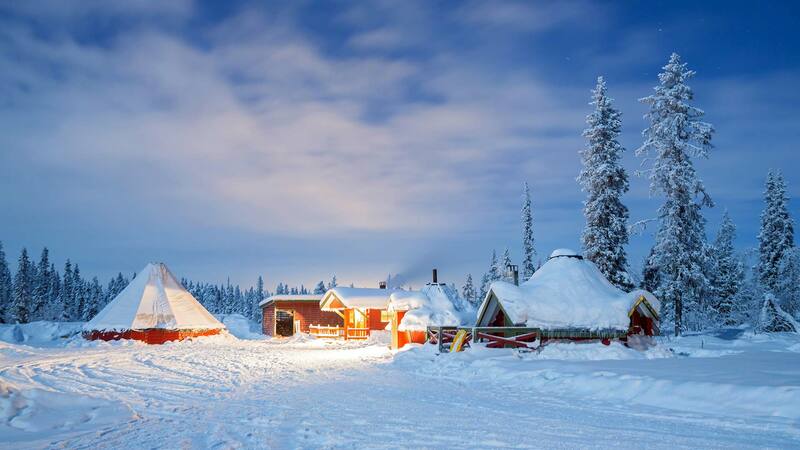 Daily breakfa..
Camp Ripan is a family-run hotel with cosy semi-attached cabins in the town of Kiruna. The hotel has a restaurant that serves f..
All tour packages in Lapland are subject to availability, so we advise not booking flights until we have confirmed your booking. In the event that accommodations are fully booked on your preferred dates, your travel consultant will be in touch with information about the next available dates. Extra nights can be added on request. This package has an age limit of 8 years old. All guided excursions require a minimum of 2 adult participants, though for excursions that already have other confirmed participants we may be able to offer solo travellers a better price. For more information about travelling in Lapland, such as what to pack and what to expect with the weather, check out our Lapland Travel Guide. This package requires a deposit payment of 50% of the total price at the time of booking. The final payment is charged 1 month prior to arrival. All of Nordic Visitor’s Lapland travel packages should be considered adventure travel on account of being operated in the Arctic during sometimes extreme weather conditions and with the use of live animals for many excursions. For this reason, those booking a travel package in Lapland (except for those considered family travel packages) should consider themselves at least moderately physically fit and comfortable engaging in activities that are considered adventurous or strenuous. Please be advised that in peak winter months, daylight is limited to a few hours — usually between 10:00 a.m. and 2:00 p.m. However, the light reflecting off the snow can make the days seem brighter. There will be snow and ice on the ground, sometimes making it difficult to walk. No luggage handling services will be available. You must be prepared and able to carry your own luggage in snowy conditions. Accommodations will be simple in comparison to what you’d find in major urban centres. WC facilities encountered during excursions may be unheated outhouses without running water. 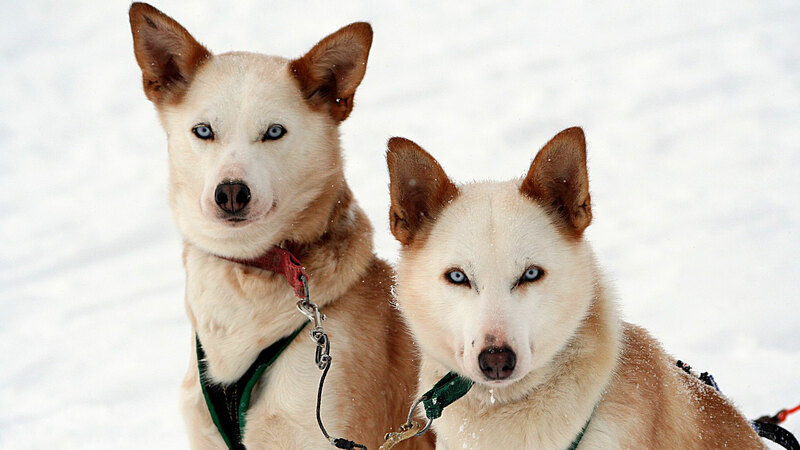 During husky safaris where you share one team of huskies with another person, the person standing to drive the sled will need to kick to assist the dogs and may be required to run when sledding uphill. Reindeer and huskies can run moderately fast and the terrain may be uneven in some spots, so the sled rides can be bumpy at times. The safety of our travellers is our top priority at Nordic Visitor. We reserve the right to change or cancel departures if we feel the conditions will jeopardize the safety of our customers. By law, those interested in driving a snowmobile must be at least 18 years of age and able to present a valid driver’s license. Drinking alcohol is not allowed before driving a snowmobile. Some snowmobile excursions may require you to drive in the dark. Those interested in participating should keep this in mind. Children are seated in a sled pulled by the guides snowmobile during snowmobile excursions. The northern lights are a natural phenomenon and sightings cannot be guaranteed. Evening excursions will operate according to the tour schedule, even in unfavourable viewing conditions, and our guides will do their utmost to determine the best possible location for sightings. This is a self-guided tour with scheduled English-speaking guided excursions and activities. All accommodations and included activities and services (as specified in the itinerary) will be pre-booked by Nordic Visitor in close co-operation with trusted local suppliers. You will not have a dedicated guide for the duration of your time in Lapland, but can expect a different qualified guide for each planned excursion. You are responsible for making your way to the specified meeting point for the start of each excursion. The time between scheduled excursions and activities will be free-time. After booking your package with Nordic Visitor, you will be contacted within two working days by one of our travel consultants, who will serve as your dedicated contact person for all of your travel needs before, during and even after your holiday. Before you travel, Nordic Visitor will provide you with a detailed personal itinerary and vouchers for all services and activities booked for your travel package. You will also be provided with Nordic Visitor’s 24/7 helpline phone number where you can always reach a Nordic Visitor representative during your time in Lapland.